4804836PL Size: 48" W x 36" D Features: -Hallowell BSL Top and Back. -Material: Cold Rolled Steel Flattened Expanded Metal. -16 Gauge Flattened Expanded Metal. -Ships Assembled. -GREENGARD CERTIFIED. -Finish type: 711 Platinum. Product Type: -Miscellaneous Parts. Country of Manufacture: -United States. Dimensions: Size 90" H x 48" W - Overall Height - Top to Bottom: -90". Size 90" H x 48" W - Overall Width - Side to Side: -48". Size 36" W x 36" D - Overall Height - Top to Bottom: -36". Size 36" W x 36" D - Overall Width - Side to Side: -36". Size 36" W x 48" D - Overall Height - Top to Bottom: -48". 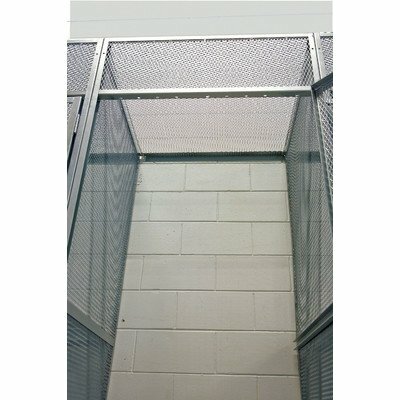 Size 36" W x 60" D - Overall Height - Top to Bottom: -60".